Home » Books » Meg Gardiner: 5 Books That Changed My Writing Life. Meg Gardiner: 5 Books That Changed My Writing Life. 1. The Stand, Stephen King. When I was in college, and looking for a novel to read, a family friend said: Want something scary? Try this—an apocalyptic plague kills 99% of the people in the world… and then the bad stuff happens. I had never heard of Stephen King. But all these years later, The Stand remains my favorite novel. It’s sweeping, suspenseful, and redemptive, a story about the tenacity of the human spirit and the willingness to sacrifice oneself for others. Those themes always dwell in my mind now as I write. And damn, the Walking Man is one charismatic, terrifying villain. 2. The Right Stuff, Tom Wolfe. Where The Stand is about plagues and demons, The Right Stuff is about the Mercury space program—but they’re both thrilling stories about selfless courage, the hunger for life, and the nobility of striving for near-impossible goals even at high cost. Tom Wolfe’s writing just crackles and snaps. This is the story of America’s great 20th Century quest, a tale fit for mythology told with tremendous suspense and with biting, bawdy, sardonic humor. That marvelous combination is something other writers can only strive for. 3. 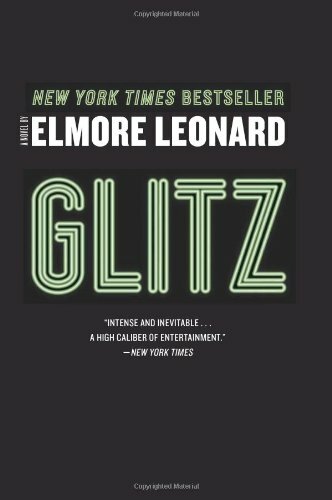 Glitz, Elmore Leonard. This was the first crime novel that truly gripped me. Until then I’d only read puzzle-piece mysteries. Compared to those, Glitz seemed electrically charged—it was tense, it was right to the gut, and oh, boy, was it cool. After reading this book I never picked up another Agatha Christie. And I was freed from the idea that mystery novelists had to write straight whodunits. 4. 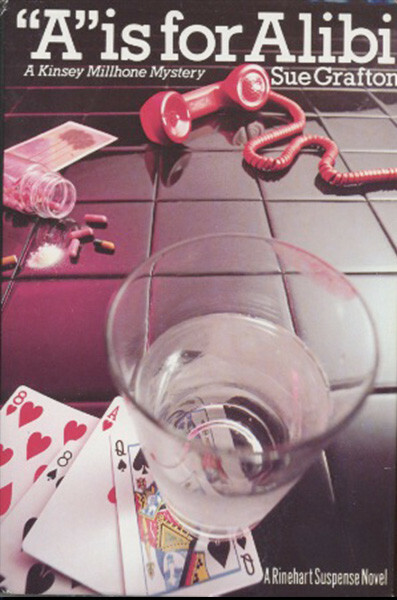 A Is for Alibi, Sue Grafton. My sister gave me this book when my daughter was born. I would tell my family that I needed quiet time to put the baby to bed—then I’d close her bedroom door, wait two minutes for her to fall asleep, and secretly read for an hour. I couldn’t get enough of the book’s twisting mystery or its feisty protagonist. With every page, I wished: Kinsey Millhone, be my friend. Beyond that, this novel showed me how a female series heroine could work. When I finished it, I thought: Yes. Give me more. And let me learn to write fiction that aspires to be as good. 5. Stormy Weather, Carl Hiaasen. Hiaasen writes political satire clothed as farce. Screaming, neon-bright Florida farce that skewers corruption and environmental sin. In his novels, revenge is served wild and well deserved, to TV evangelists and crooked judges. (After Stormy Weather’s title hurricane, a scummy mobile home salesman is found crucified on a satellite dish.) And the novel features one of fiction’s great avengers: Skink, the one-eyed, half-mad ex-governor of Florida, who lives in a burned-out NASCAR Dodge, dines on road kill, and rises from the Everglades to smite pols and polluters. This novel exhilarated me. I realized that with enough spirit and bravado, a crime writer could get away with anything. Meg Gardiner was born in Oklahoma and raised in Santa Barbara, California. She graduated from Stanford University and Stanford Law School. She practiced law in Los Angeles and taught writing at the University of California Santa Barbara. She’s a former collegiate cross-country runner and a three time Jeopardy! champion. She divides her time between London and Austin, Texas. She is the author of 11 books, the latest of which, THE SHADOW TRACER, lands in stores on June 27th.